AMSOIL, the First in Synthetics, proudly returns to the historic Loretta Lynn Ranch for the Rocky Mountain ATV/MC AMA Amateur National Motocross Championship presented by AMSOIL starting July 27. This season marks the 33rdÂ year of â€œLoretta Lynnâ€™sâ€ and AMSOIL continues its high-level of support for the event that features nearly 1,500 of the top amateur riders in the world. With support across all 36 classes, some of the sports next biggest stars will be representing AMSOIL in Tennessee, including AMSOIL/Factory Connection riders RJ Hampshire (250A/Open Pro Sport) and Jordan Smith (250A/450A). Colton Nichols, who raced for the AMSOIL/Team Babbittâ€™s during the 2014 AMSOIL Arenacross season, will also be racing at The Ranch this season (Open Pro Sport). The AMSOIL Generator Oil Change program will return in 2014. The company offers a free oil change program for those athletes skilled enough to qualify for this yearâ€™s event. AMSOIL will change oil in your generator, gas or diesel, right at your campsite. Registered racers will find their registration form inside the rider packet and must use this to sign up on a first-come, first-serve basis starting on Sunday afternoon. 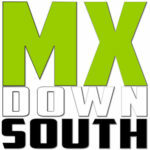 Loretta Lynnâ€™s runs July 27 to August 2 at Loretta Lynn Ranch in Hurricane Mills, Tenn.Â For more information on the event, go toÂ www.mxsports.com. Keep up to date on all of the action on a daily basis atwww.amsoilracing.comÂ or at the AMSOIL Racing Facebook page.